You can earn a decent additional income from your blog site if you display ads provided by Google AdSense. These ads let you earn money easily whenever someone clicks on such ads displayed on your blog. However, Google implies that your blog must have high traffic in order to display AdSense ads on your blog. Logically, only if your website/blog traffic is high, then more people will click on the ads. This means that you would need to ensure an impressive blog design, get it properly SEO aligned, post unique and engaging content and decorate it with amazing visuals in order to keep your visitors glued to your blog and make them visit your blog time and again. Only when people will start visiting your site, they will click on the ads. 5 useful tips that will help you increase Google AdSense CPC for your blog. 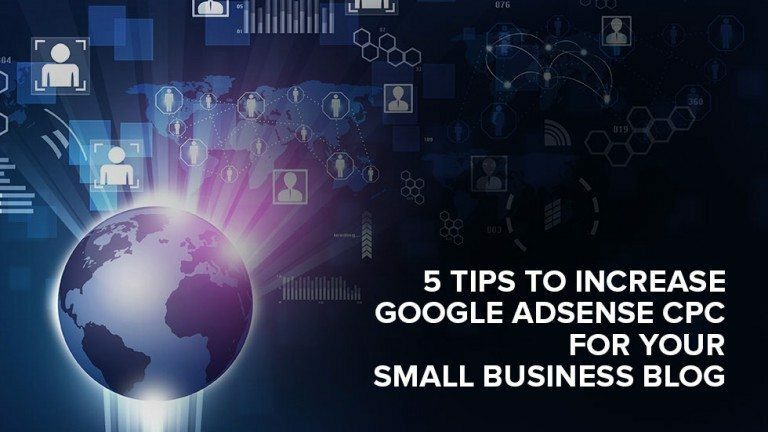 Though Google offers a broad inventory of low and high ‘Cost Per Click’ AdSense ads as per quality of your website, you can manually delete or ignore low paying advertisements. To do that, you can use Ad Filter tool on your Google AdSense CPC account. Make sure that AdSense bot serves only relevant advertisements on your blog. For that to happen, techgyde.com suggests that you implement AdSense Section Targeting to optimize main content of your blog page. It also helps you increase your ‘Click Through Rate’ effectively. The targeting is also important for optimization of your blog. Pick up the Ad sizes that are the most popular with advertisers. Such sizes are 720×90, 300×250 and 160×600. Usually, these are considered as ideal ad sizes due to high CPC. Earnings from Google AdSense CPC depend on where you position your ads on your blog. To find out the right areas, take advantage of AdSense heat map. In the map, the best locations for ads are depicted in red and the area of lesser importance are in orange and light yellow. Businessonlineguidence.com says that the best place your best performing ad units is at the top and above the fold of your blog. Many blogs prefer using ads that have images or are in Flash as they look appealing and carry higher chances of people clicking on them. While you also can opt for such multimedia ads for your blog, do not ignore textual ads completely. Instead, use a combination of text and image based ads for better results. This will help in increasing competition for advertisers and hence your CPC will be much higher. With these tips, you’re sure to add value to your blog site and maximize your Google AdSense CPC revenue. But remember, a common factor that separates a successful blog from a failed one is its credibility. Readers visit a blog to get some valuable fresh information to add to their knowledge on an issue. So focus on providing valuable, fresh, unique and creative content on your blog. Do you have other tips that you believe can help small businesses? Please share with us in the comment box below. Looking for Customized, On time, Blog Design? Launch a Blog Design contest today. Choose from 100+ designs. Take your pick! Next Next post: Facebook vs Twitter – What’s Better for Small Businesses?